Present state: Largely intact, part of Manchester Museum of Science and Industry. Notes: Manchester Liverpool Road was the eastern passenger terminus of the George Stephenson's Liverpool and Manchester Railway which opened for business on 15.9.1830. The line was the worlds first to be constructed with the carriage of passengers as one of its main activities. It was also arguably the worlds first true inter city railway. As the line was the first of its kind a great deal of thought was devoted to how to create passenger facilities. The only transport hubs that existed at the time where the points from which road coaches departed. These tended to be large inns which could cater for passengers who might need to stay overnight and which had stable facilities for horses. The coaching inns did not really offer a good model for a railway terminus. The other issue facing the lines builders was where to locate the terminus in Manchester. The original plans for the railway would have seen a station developed on the west side of the River Irwell in the town of Salford. However the lines promoters wanted to have a terminus in Manchester proper which would save passengers from having to cross the River Irwell. 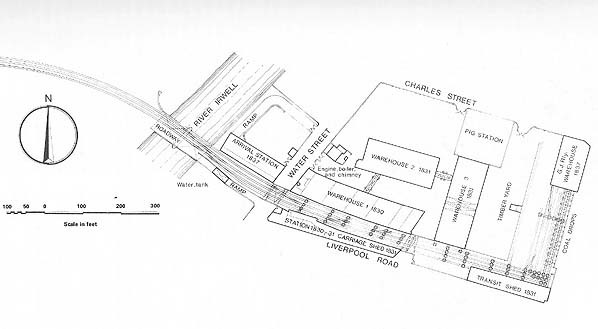 A site was identified and purchased at Liverpool Road on the western edge of the city. To reach the site the line had to be raised up to an elevation exceeding 29 feet so that a bridge could be built across the Irwell which would still allow navigation by the boats of the Irwell Navigation Company. A fine sandstone bridge consisting of two arches was built over the river which connected to a viaduct which was followed by another bridge which crossed a busy thoroughfare called Water Street. This last bridge carried the line to the site which had been chosen for the station. An existing house was purchased on Liverpool Road and a handsome two story stone built building was constructed next to it cater for passengers. The house was used for the station superintendents office. The line was level with the first story of the building. It was reached by staircases that led up to a simple platform which had a covered canopy to shelter passengers from the rain. Interestingly this platform was to be used only by departing trains. For passengers arriving at Liverpool Road a simple platform was provided on the western side of the Water Street bridge. 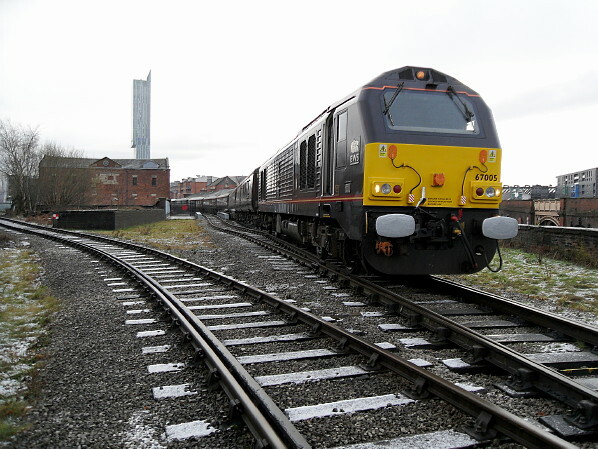 At first no facilities where provided as it was assumed that arriving passengers would quickly disperse into Manchester. However this situation changed in 1837 when an arrival station was built. Passengers departing from Manchester were separated by class with the more affluent citizens enjoying the better facilities. 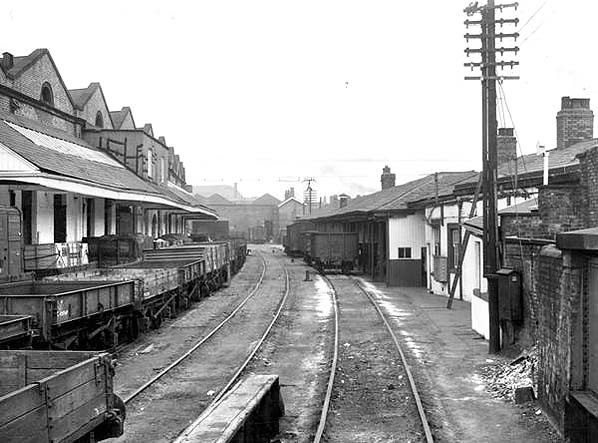 The passenger facilities where small in comparison to the goods facilities which where provided at the station A fine brick built warehouse was provided opposite the departure platform. Within seven years four more warehouses where added which demonstrates the phenomenal success of the line. By 1844 the station was far too small to cope with the passenger numbers that where using the line. By this time trains where travelling to more destinations than just Liverpool. A new station opened further to the east called Victoria and Liverpool Road closed to passengers. The station site continued to be developed as a goods facility and in 1905 the original Water Street Bridge was demolished to allow widening of the street but surprisingly the former passenger station survived mainly intact including the original first class staircase. 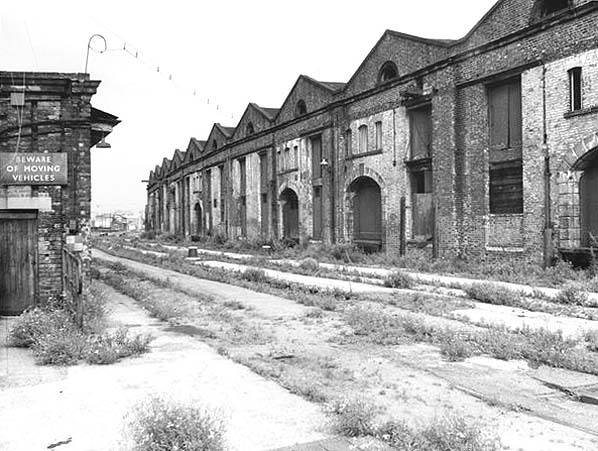 In 1975 the station closed completely. 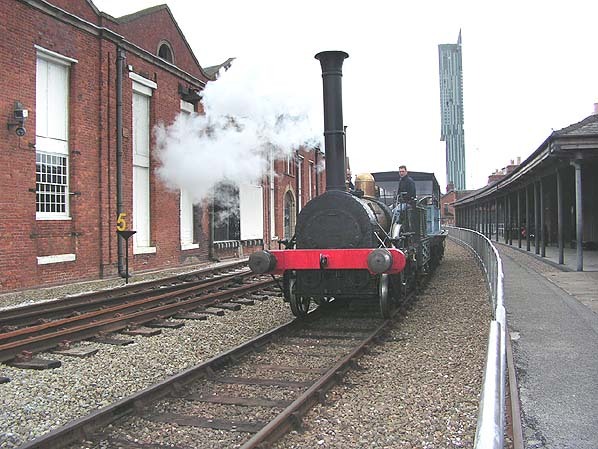 However in 1980 the site was used to celebrate the 150th anniversary of the Liverpool and Manchester Railway. 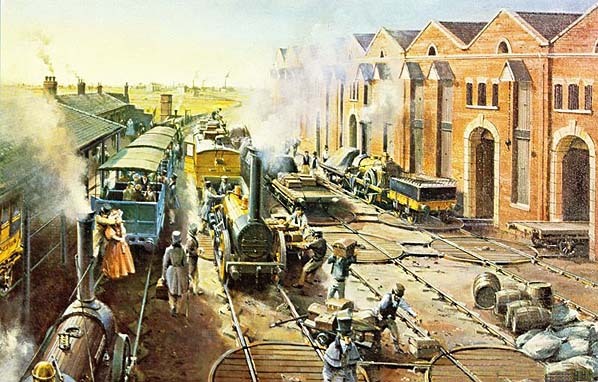 Locomotives visited from all over the country and the local authority had the idea of creating a Science and Industry Museum which would preserve and make good use of the site. 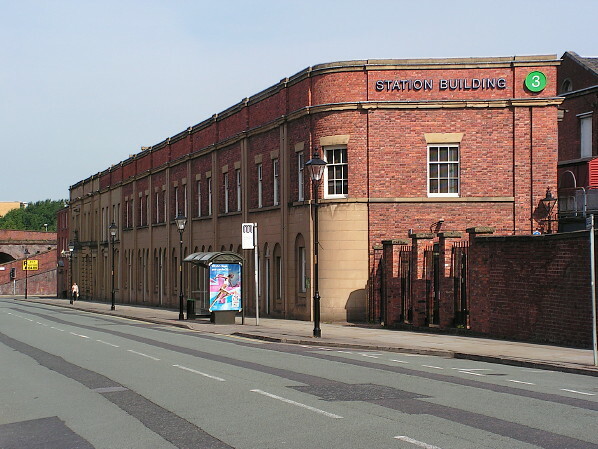 Today that museum known as the Manchester Museum Of Science & Industry is a reality and visitors can view the station site and see the first class booking hall restored to its 1830 condition. A replica locomotive of the era 'Planet' can regularly be seen in steam at the station site. Looking east at the site of Manchester Liverpool Road station on 10 February 2010. The arrival platform was to the left of the Royal Train just beyond the class 67 locomotive number 67 005 that was hauling it. The Royal Train was on a visit to the Manchester Museum of Science and Industry.